RATES INCLUDE: DAILY LINEN CHANGE AND ROOM CLEANING (Daily rate: daily / Weekly rate: 3 times per week). Why stay in a hotel when you can get the quality of a hotel at the price and convenience of an apartment? We provide condominium apartment rooms together with the 1st class service of hotels, such as daily breakfast etc. Whats more, we offer you the opportunity to have a furnished kitchen to prepare your own lunch and dinner! 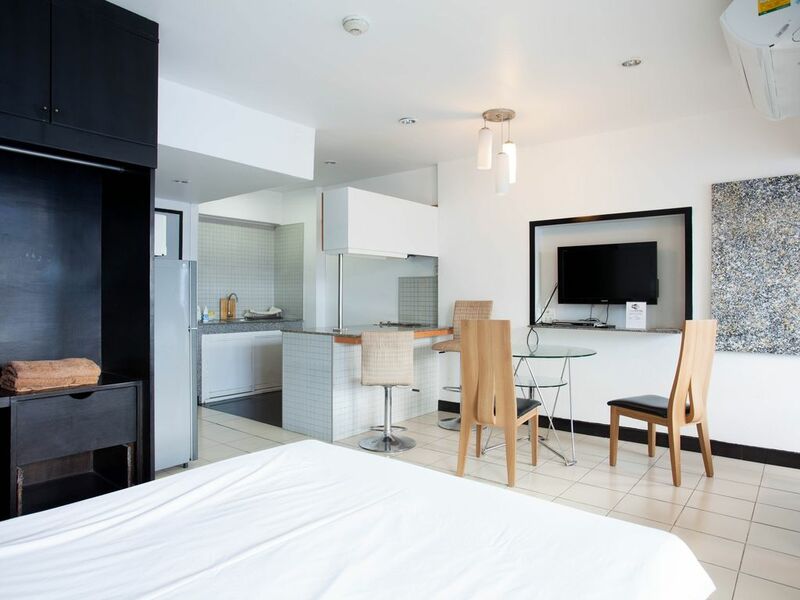 This is the superior room apartment that is fully furnished with television, fridge, phone, microwave, bathtub and even a well furnished kitchen. Send us a message first and we'll give you more details about this room and the services we offer. Room does not look anything like the pictures. Must be 20 years old. Address is incorrect, you need to walk an extra 5 mins to get to the advertised address (5 mins further out). House keeping was supposed to come daily, came once every 3 days. Very far out from the centre. The apartment was old and not in nearly as nice of condition as the photo's indicated. We rented two apartments for our month in Chiang Mai and one of the bathrooms had a moldy shower curtain (408). The door in (1305D) was nearly falling off so security was questionable. On several occasions the room was entered by someone without any prior notice and on 2 occasions, the management arrived to 'show' the apartment without previous notice. This was not only inconvenient and infringing on my privacy, but alarming due to the amount of electronics that I travel with and generally don't lock up when I leave. From a 'value' standpoint, it's important to note that utilities/water are not included and although the estimated cost is listed on the listing....it wasn't anywhere close to the actual cost! I had an estimate of 200-300 thb for electric and it was actually over 6K bht (per room) for the month. In addition, I was confronted after 16 days to pay for the electric/water instead of at the end of the month. (and expected to pay right the and there - I don't keep a lot of local cash on me so this was very inconvenient). More clarity on this would have been greatly appreciated. In the end...had I known that the utilities were going to cost nearly as much as the apartment rental, I would have chosen somewhere else.